Ok, so as a card-carrying #girlboss, we all know you’ve got things under control 99% of the time. But, like you, we all have those occasional days where we’re struggling with low motivation and procrastination. I had one of those days recently where I found myself staring at my computer screen getting nowhere. So how did I make a start and blast through my to-do list? I used my checklist momentum trick. I have my usual work to-do list which I try not to overload. However, on the days when I’m struggling with motivation, I create a separate (handwritten) list. This one starts with my main tasks for the day but I break them down into mini tasks. I also add in the tiny tasks even if it’s just tidying my desk. On days when I’m seriously struggling I might even include making my bed or each individual email I need to respond to! By breaking down your tasks into tiny bite-sized pieces, you make them seem less daunting and easier to get through. 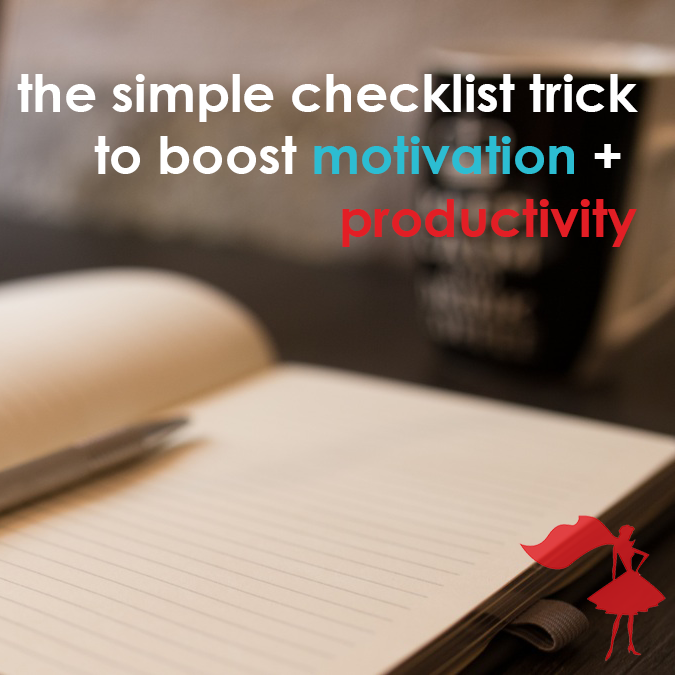 However, the real trick is in having lots of little tasks to check off. The physical act of crossing them off and seeing how much you’ve achieved gives you the momentum and motivation to keep going. It doesn’t matter if the tasks are work-related or domestic. I put down washing and drying my hair – if you have hair as long as mine, you’ll know what a chore it can be… Don’t forget, you can add something to your checklist after you’ve already completed it, just so you can cross it out! The momentum checklist isn’t about being organized and remembering what you need to get done. It’s a visual reminder that shows you what you’ve already achieved and helps you move on to the next task by putting you in a positive mindset. Have you tried this trick before? If not, test it out and let us know if it helps in the comments below!